No one would question that discipleship is important, even essential to Christianity. Yet, in my opinion as a whole, the Church is failing in effective discipleship. I think there are various reasons for this gaping hole in our church paradigm ranging from time issues to commitments. But there are a few things we can do as the Church if we really want to become more effective in discipleship and reaching the next generation for Christ. 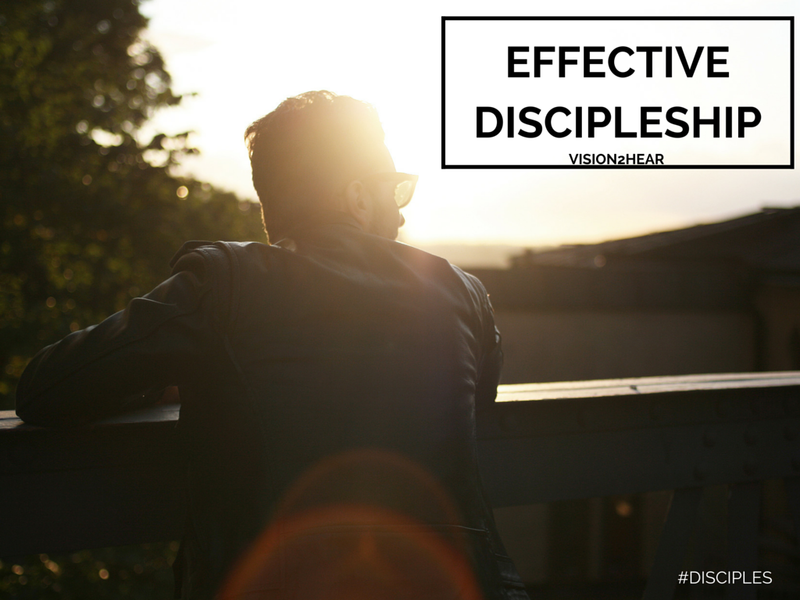 Before leaving His disciples behind, Jesus gave the command many of us are familiar with: “Go and make disciples…” Discipling others is not an afterthought of Jesus, but instead His determined way of reaching the world. Whether you realize it or not, you are always discipling others. The question is: is it in the way of Christ? Discipleship happens whether you plan or prepare for it. 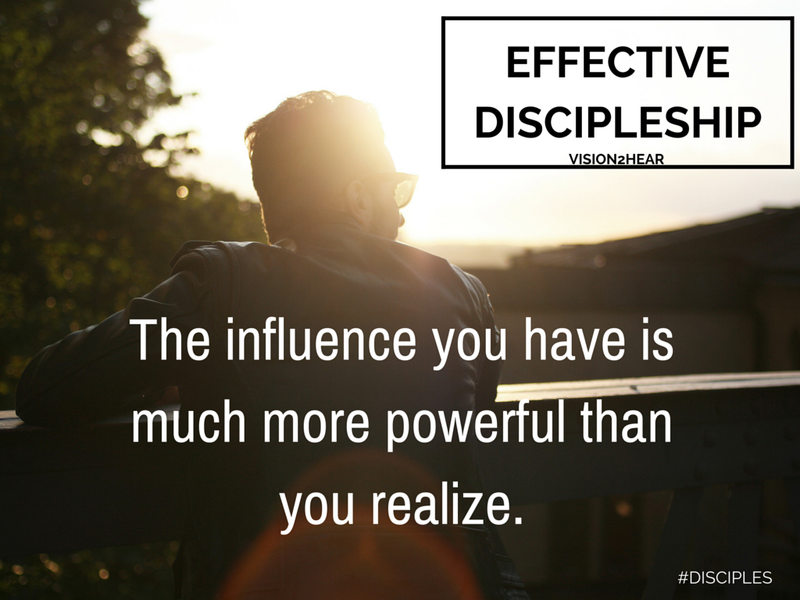 But effective discipleship only happens with certain intentionality. Choosing to make disciples of Jesus is not an option Christians can ignore. Effective discipleship begins when we understand discipling others is the way Christ intends for us to live out our lives. We have to take the initiative and reach out to others around us with intentionality. Everyone has some amount of influence. What are you doing with that influence? What we fail to believe is that our influence matters. But it does! The influence you have is much more powerful than you realize. Taking the relationships you have and investing in them is a huge part of effective discipleship. Far too many are “waiting” to have more influence or hoping to have a greater audience. This is not Jesus’ concern. Jesus is asking what are you doing with the one or two relationships you have right now? I believe that if you leverage well the influence you have now, you will become more effective in discipling greater numbers later…but it just may be through those you have discipled. Discipleship is about people, i.e. relationships. One of the reasons I believe discipleship has been so ineffective in the past is that churches have spent too much time trying to develop programs to “disciple” people. Programs are good for doctrine but not necessarily for discipleship. 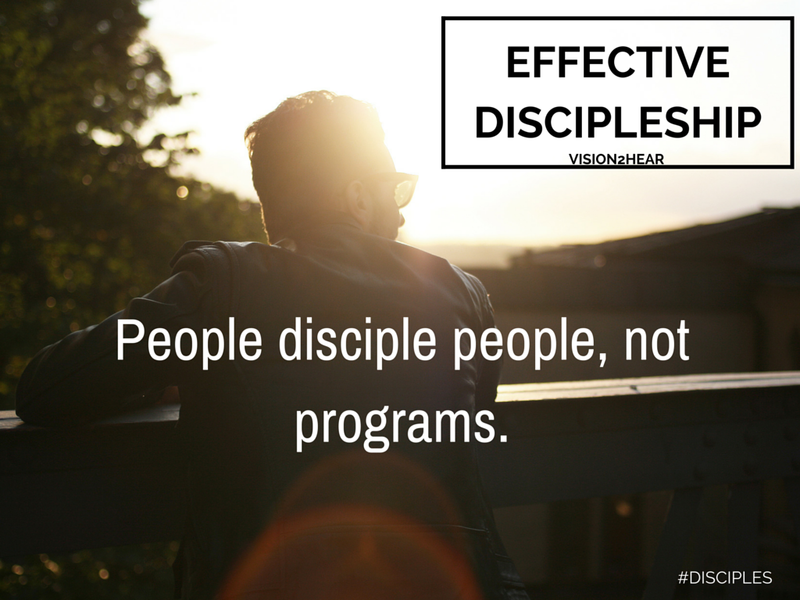 People disciple people, not programs. Yes, in discipling others, teaching the Bible, studying scripture, prayer etc. are all part of the relationship, but discipleship is not about completing a list or course. Discipleship is about loving people, equipping people and empowering people but also sharing in the God-life together. As every person is unique and different, so will every approach need to be in discipling them in Jesus’ way. The only way to find what each person needs and where they need to grow is to spend time together. Effective discipleship hinges on building meaningful relationships with others. Apart from healthy relationships, there is no effective discipleship. 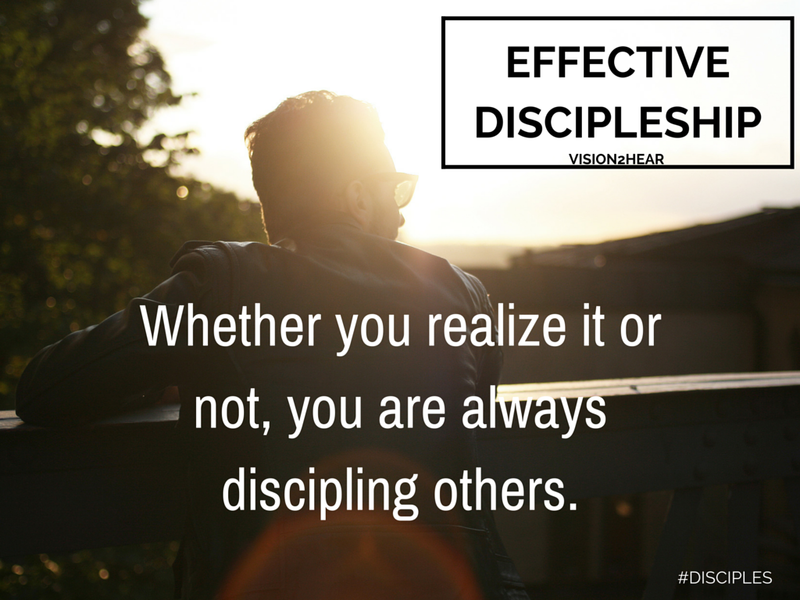 What else do you see as being essential to effective discipleship? Comment below. This entry was posted in Articles, leaders, leadership, youth pastors and tagged church, coaching, discipleship, mentoring, programs, relationships. Bookmark the permalink. George is immensely qualified to discuss effective discipleship. I’ve been a disciple student of his for many years. These essentials are very much effective, particularly the focus on people. Developing a deeply personal relationship with someone is the key to personal discipleship. This is what Jesus did; this is what George does. Thanks for the encouragement, Lora!